Well friends, I have officially completed 1.5 weeks of work. I have no clue what I’m doing, but I’m slowly learning the ropes. The biggest shock of starting work was that no one has actually given me any work. Weird right? After 4 years of being in school, where I was always told what to learn, write or remember, showing up at an office in which no one tells me anything is probably the most difficult task of all. So here I am, trying to come up with my own stuff to do, which would somehow help out a huge corporation. Sigh. I’m way out of my league here. This is my first Canadian winter post! Just a warning, there’s kind of a lot going on in these photos. 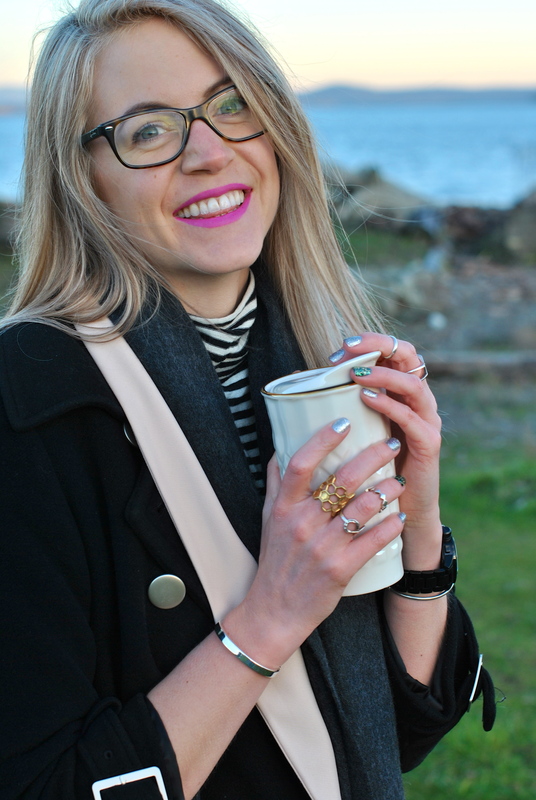 When it comes to jewelry, I’m pretty into those staple items you can wear day in and day out. If it’s something you’re going to wear all the time, it needs to be simple and high quality. A plain bangle looks good with everything and if it’s a quality metal it won’t stain or tarnish. The bracelet in these photos is from Xcusor and made with silver. It also comes in gold and bronze. To top it off, Xcusor is handmade in Germany and in today’s world of fast fashion, something made by hand is always a treasure. If you order before the 18th, you can still get it in time for Christmas and I’d say it makes for a pretty perfect gift! You can expect to see this piece on my wrist in all my photos from now on, because I’ve added it to my daily jewelry routine.